Entry ticket to full day of activities is £5 at the door. If you would like to participate only in our Peace March, please meet us at 6pm at Hop Gardens. You are also welcome to join us at any of our stopping points along the way. You DO NOT need a ticket to be involved in the rally, but DO spread the word and invite your friends to March with us! A unique lecture & workshop with the great and incomparable JOHN LEECH, MBE. He is a senior member of organisations specialising in international affairs, including the Federal Trust for Education and Research, and of bodies involved in the Arts. He was European Co-ordinator of the European-American political and security circle West-West Agenda and is the author of books on the NATO Parliamentarians Conference, whose Deputy Director he was during the formative period of the Atlantic Congress, on the future of NATO (Halt! Who Goes Where?, 1991), on alternatives to warfare (Asymmetries of Conflict: War Without Death, 2002) and on European integration (Whole and Free: NATO, EU Enlargement and Transatlantic Relations (Ed), 2002 and earlier works). He is a member of the IISS and of Chatham House. Born in Potsdam, he came to Britain in 1939. As a civil engineer, he spent some years in India before entering a long association with the Commonwealth Development Corporation, serving in East Africa, on missions to the Caribbean and responsible for the extension of operations to much of Asia and Africa. ALICIA CABEZUDO, Ph.D.,Vice-President IPB (International Peace Bureau), is Emeritus Professor at the School of Education, University of Rosario, Argentina and at the UNESCO CHAIR on Culture of Peace and Human Rights, University of Buenos Aires. Her work is rooted in the Contemporary History of Peace Building, Conflict Resolution and Democracy in Latin America—from a research and teaching perspective. She focused in the field of Education—Training on Democracy, Citizenship, Culture of Peace, Intercultural Dialogue and Human Rights. She is Annual Visiting Professor at the MA in Peace Education, University of Peace, Costa Rica; at the MA in Mediation and Social Inclusion in the University of Barcelona, Spain and at the MA on Development, Conflict and Peace, University Jaume I (Castellon) Spain. In the ten years she is teaching Culture of Peace & Citizenship Education at Summer Institutes to students coming from Arabic countries in Alexandria and Cairo launched in the Institute of Peace Studies—today the new Centre for Peace and Democracy—in the Bibliotheca Alexandrina (Egypt). She is Visiting Professor in many international universities and was recently appointed as Faculty Member of a new program on Citizenship Education at the MA in Human Rights, School of Political Sciences, University of Brasilia, Brazil and at the Peace Program in the University of Jeju Islands, South Korea. She is based in Colombia, working at the Peace Process in Post Conflict time in the National Ministry of Education—coordinating the Network of Peace Universities in the whole country. Professor Cabezudo is Vice-President of the International Peace Bureau, IPB Geneva (today IPB Education Consultant); Consultant on Global Citizenship Education at the North South Centre of the Council of Europe, Lisbon/Strasbourg, and was appointed as UNESCO International Consultant on Global Citizen Education. She is recently invited to be part of the Education Experts Team of the Peace Nobel Prize Foundation, Education Department, Moscow. Alicia Cabezudo is author of various publications, including books, research articles, international projects, and online courses. 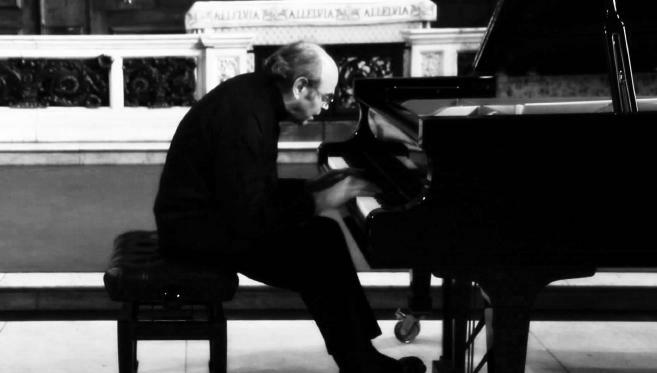 ALBERTO PORTUGHEIS, HUFUD Founder and President, is an international concert pianist, dedicated like his colleague Daniel Barenboim, to the pursuit of Peace, nor only in the Middle East but on the entire planet. Like Barenboim, Portugheis was born in Argentina and lived for seven years in Geneva, Switzerland, before settling in the UK. Geneva being the European Headquarters of the United Nations, Portugheis experienced first-hand the workings of this complex and powerful organization. This prompted Alberto to study and analyse all wars in history and in present times and to write down his findings. Portugheis’ writings earned him a nomination to the Nobel Peace Prize 2008. As a result of this nomination, in 2009, his first book—”Dear Ahed….. The Game of War and a Path to Peace“—was published. A second book “$$$$$s In Their Hearts” came out in 2014. The following year, in 2015, Alberto Portugheis launched the Movement he presides, HUFUD (Humanity United for Universal Demilitarisation). STEFAN G. ZIEGLER, Humanitarian Practitioner, Lecturer and Film Producer—a presentation about two journeys through international law. One, the film Broken, is a journey through courtrooms, judges’ chambers and diplomats’ halls. The other, the genesis in fact of the first, is Ziegler’s personal journey in how international law can be used as an instrument for peaceful solutions. Stefan is a Swiss national with over 17 years of experience in the fields of research and advocacy related to humanitarian action. He currently works as an independent trainer and facilitator. Recent training venues include: the Kofi Annan Peacekeeping Training Centre in Accra, Ghana and the UAE diplomatic academy in Abu Dhabi. He designed training courses for IFRC and UNDP. In spring 2015 he returned from a mission to eastern Ukraine with the OSCE. Until 2013 he managed the Barrier Monitoring Unit (BMU) a research unit of UNRWA in the West Bank where he researched the humanitarian impacts of the Wall on Palestinian communities directly affected by its route. Prior to the UN, he worked for the International Committee of the Red Cross (ICRC), where he developed on-the-ground humanitarian aid experience and promoted sustainable handover of development projects. Stefan is also an Affiliate Trainer with RedR in London. He is a member of the Irish and Swiss Emergency Response Teams. He previously held the position of Strategic Planning Associate at the Irish Peace Institute in Limerick, Ireland where he had lived for over ten years prior to his career in humanitarianism. He is a guest lecturer at a number of universities, among them EPFL in Lausanne, the Politecnico di Milano and is a faculty member of the Geneva School of Diplomacy. Stefan has given presentations at the EU Parliament, the UN Headquarters in New York and Geneva. Stefan holds a Masters in International Studies from the University of Limerick, a B.A. in Sociology of Development from University College Cork, both in Ireland and a Postgraduate Diploma in Humanitarian Assistance from Fordham University in New York. His latest publication, “Communicating the Community” appeared in the journal Humanitarian Assistance in West Africa and Beyond. His latest project is the production of a feature-length documentary about International Law’s broken promises at the example of the Wall in Palestine. AZADEH CHAHVIE‘s presentation will address education as a way to integration, sustainability and prospect for peace, and her experience as a teacher of refugee children. She has eight years of work experience as a teacher and volunteer for NGOs in Iran. She was influenced by the Iran-Iraq war; her family having had to abandon their home and live in a camp as IDPs. The war profoundly shaped her thinking and worldview. When Azadeh held the position of Head of Research and Development in 2016, she undertook to study the significance of quality education by the NGOs working with the children of refugees, mainly Afghans, who were formally and informally deprived of it. She had already pursued a M.A. in Indian Subcontinent Studies, in which she decided to focus on contemporary nonviolent movements. She concentrated on theories of nonviolence and peace, shaped by Gandhian thought, and how they could be tested in a world of real politics. It is therefore that later, took up volunteering for Afghan refugees, particularly children whom I try to give some basic education. in her current position, she was cooperating with governmental and nongovernmental institutions, supporting the children to have access to free basic education. She also took ups carrying out field research to probe into the phenomenon. Currently, Azadeh is studying toward a Masters of International Relations at the Geneva School of Diplomacy and International Relations. Her main research interest is the protection of refugee children’s rights, particularly those of Afghan origin stranded in her country in significant numbers. Azadeh is keenly aware of the importance nongovernmental organisations afford those marginalised groups. For her studies of humanitarian contexts she intends to apply action research theory. She believes this will make visible the relations between organisations and beneficiaries, ultimately paving the road to peace. Alberto Portugheis is a member of the TRANSCEND Network for Peace, Development and Environment. 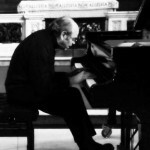 By profession a concert pianist and pedagogue www.apion.org.uk/tapsim, he is an active peace campaigner, whose anti-military stance earned him a nomination for the 2008 Nobel Peace Prize. 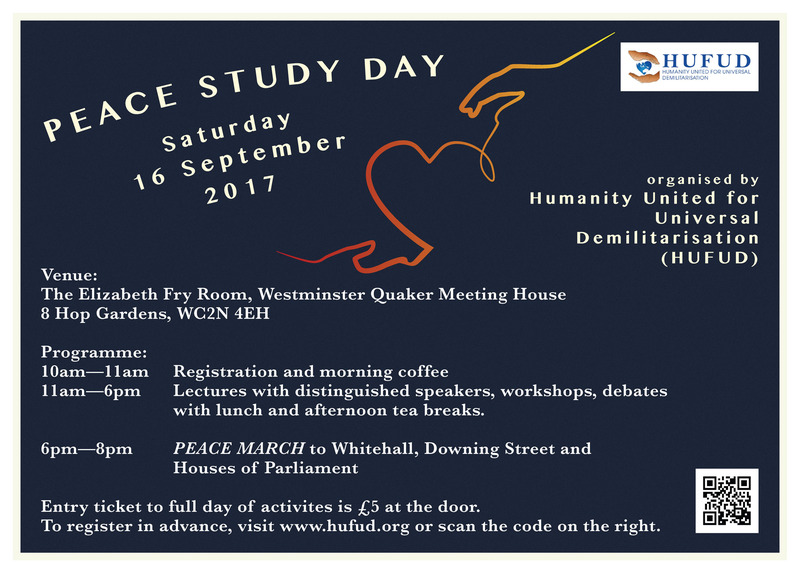 As a result, Portugheis wrote, “Dear Ahed…..The Game of War and a Path to Peace” – a book that has received critical acclaim http://www.dearahed.co.uk. He contributes regularly to Twitter and has many followers. Some of his thoughts, ideas and reflections, which express only the desire “to make people think” and not take for granted what they read, “no matter where”, can be found in his blog http://portugheis.livejournal.com. Anticopyright: Editorials and articles originated on TMS may be freely reprinted, disseminated, translated and used as background material, provided an acknowledgement and link to the source, TMS: Peace Study Day & March, is included. Thank you.